"Thanks for the love" week is almost over... I know, so sad. No worries though, we still have a great giveaway! Kristen at 3 Little Birds boutique was so gracious to give away a pair of her creamy freshwater pearl earnings. You can enter multiple times! 1. Like 3 little birds boutique on Facebook, then leave a comment. 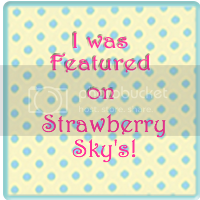 4. follow Strawberry Sky's blog, then leave a comment. 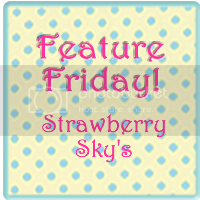 If you already like or follow Strawberry sky's Just leave us a comment on facebook or our blog about your favorite Strawberry sky's product and why you like it! So you can enter up to 5 times. cool huh? Don't forget to come back here and leave a message or leave a message on our facebook page. The winner will be announced Tuesday Aug. 31st! Crossing my fingers to win! 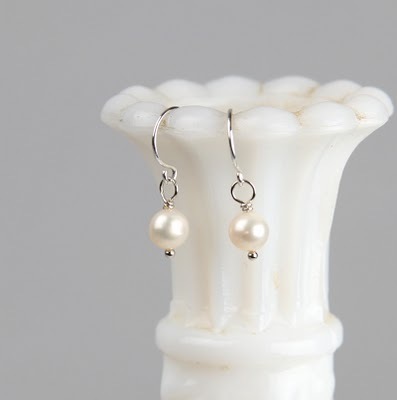 My ears will look good with some pearls on them! Thanks Strawberry Skys! Love your stuff, Sarah! Thanks for the recommendation of 3 Little Birds blog. I hope I win those purdy earrings! Love the framed paper project. Beautiful. Thanks for visiting my blog at D'Lea Designs. Those earrings are very pretty! I am already a fan of 3 Little Birds Boutique on Facebook. Please count me in your giveaway! I am a follower of the 3 Little Birds blog! I like 3LB on FB! I was checking out her shop last night and I almost bought those earrings twice. They are beautiful!